Way modern. Way comfortable. 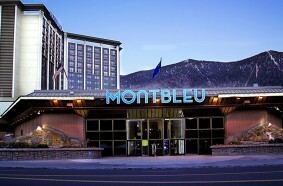 MontBleu gives you rustic lodging. Without the rustic part. We boast 440 luxurious rooms, many with spectacular lake and mountain views. Suites are designed for conferencing and carousing, and feature a living area, big screen TV, dining and full bar. Free wireless internet access is available not just in the suites but throughout the resort. Various restaurants, top celebrity entertainers, and MontBleu’s world-class nightclub “blu”, where renowned DJs preside over a dance floor that’s ablaze with the latest technology in lights, sights, and sound.